Metanoia is a work that emerged from an experience Nermine Hammam endured for three months in Cairo. What initiated with a visit to the mental hospital in a renowned area in the city, Hammam spent her days with patients in the hospital, learning about their disabilities and forced isolation into conditions the government simply wished to remove from the public eye and does not wish to address. But, why the hero? It is not fake – it is a reality, a virtuosity that lacks judgement – a madness without a reality. The mythical hero becomes that reality, as she projects a scene of Bruce Lee with his speech, his eloquence, his undeniable presence that in reality is so fictitious, he becomes an icon. Hammam also references Lars Von Trier, Ingmar Bergman and Andrei Tarkovsky. An allusion to existentialism, which also appears in her photography, Hammam liberates herself from Bergman whom since the age of 14 has been compulsively obsessed by. 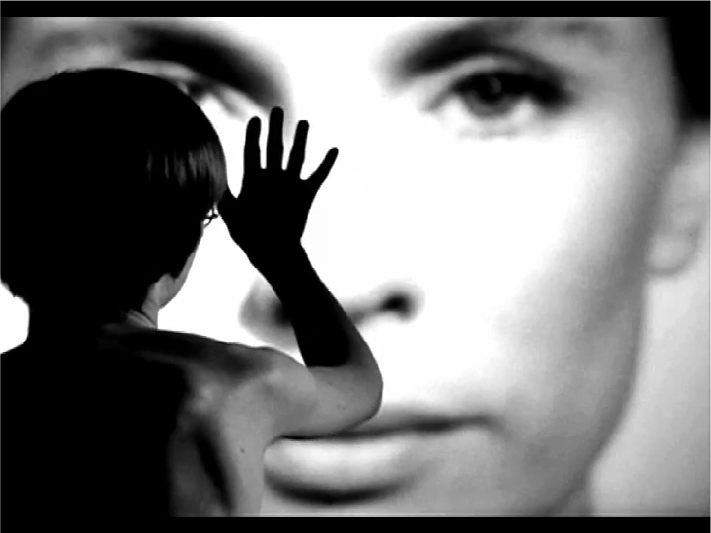 Hammam revisits Bergman’s scene of a boy touching this massive illusion to a woman’s face in the prelude to “Persona.” A film originally designed during 9 weeks of the filmmakers recovery from pneumonia, he dives into the depths of a mental asylum, trapped within his own faculties as a condition. In her first 7 minute work, Hammam does capture a melodic play of a series of dramatic sequences. Ranging from the passions of romance to that of fear and turmoil, she observes the obliterated sarcasm of happiness and utopia held up against horror, fear and war. Confinement and desperation up against hope, she subtitles the dialogues, making sure that every word can be heard and seen, observed and understood, written and verbalized. Metanoia is a paradox of solipsism that goes further to the conclusion that the world exists in a haphazard universe, and its madness is genuine.